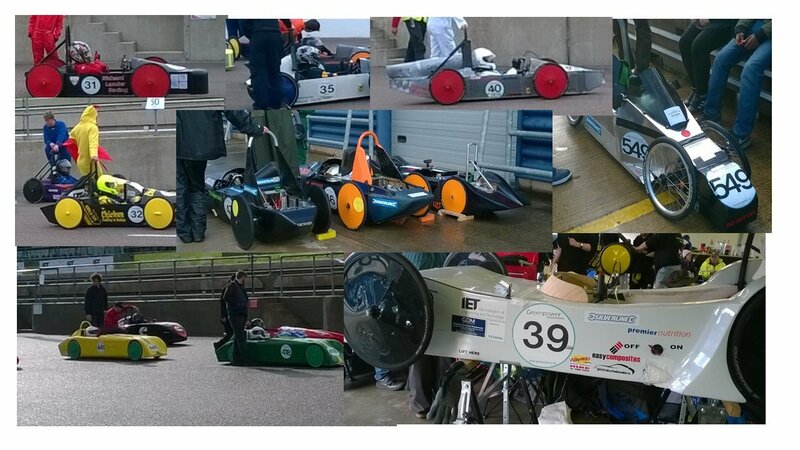 4QD have supplied motor speed controllers to the Greenpower battery powered electric car competition for many years, and our controllers are highly efficient. The event has been won more than once using our controllers. This page has all the hints and tips we’ve learned to assist competitors get the most out of their cars. When it comes to choosing a controller our recommendation for new teams is our Porter-5. For the teams that are chasing that last 1% of performance we have the Porter 10XXX. We have just launched the SST-031 which is similar in performance terms to the Porter-5. Used with the softstart software it can provide a very basic on – off control in place of a relay, but as it is based on a microprocessor it can also allow experimentation with more advanced aspects of motor control. We have a table at the bottom of the page which compares the three. There is a lot of information including the rules, tips etc at the official Greenpower site which you can find here. Motor and batteries are fixed, so the challenge is how to make best use of the available energy. This means building an efficient design, then getting the most out of the batteries. Aerodynamic efficiency; Wind resistance increases with the square of the speed. To minimise aero losses the ideal approach is to go as slowly as possible consistent with just running out of battery power exactly at the end of the event [but try telling the driver that!]. Regarding aerodynamic shapes, a round entry and sharp exit are the main points. Tape over any gaps in the bodywork. Remember the underside of the car. Rolling resistance; If the vehicle does not roll freely, it is wasting power. Narrow tyres at high pressure will help, as will high quality, well adjusted and lubricated bearings. Use a spring balance to pull the car up a slight incline, measure the force needed, then set about reducing it. Weight distribution will play a part here, if all the weight is over the rear wheels, the rear tyres will deform more than the fronts and increase the resistance. Mechanical drive train efficiency; The motor’s mechanical output has to be transferred to the wheels. Gear trains are not 100% efficient and can loose quite a lot of power. Chains are good, but again must be well adjusted and lubricated. What force does it take to rotate the drive wheel? hang a weight off the outside of the wheel, how heavy must it be to make the wheel just rotate? adjust the chain to find the best setting. Energy usage; Getting the most out of the batteries is crucial. Plot the discharge curves for your batteries when supplying the current that your vehicle actually takes. Then figure out how you can get that amount of energy to last to the end of the event. Options are a] set your maximum speed appropriately. b] have a monitoring system that lets you monitor your energy use and adjust your speed accordingly. Number and test each battery, use the best for the races and the others for practise. Motor efficiency; The motor’s performance curves (which are available on the official site) include a graph of its efficiency. For this sort of contest you need to run as close as possible to maximum efficiency: (73% at 1800 RPM pulling 18A), and use the gearing to keep the motor running near it’s optimum speed. The speed controller can be used for a smooth start and then to adjust the speed if required during the race for tactical reasons. Cooling the motor will help keep it’s efficiency up. Additional heatsinks / fins will help, as will ducting some airflow onto it. PC cooling fans have been used but they take power that could be used for going forwards. Some contestants have powered fans from a PP9 battery. Most of the heat from a motor is generated in the windings on the armature, the shortest thermal path for this heat to escape along is the motor shaft itself. Fitting a cooler to the shaft is a common ploy but be aware that a high blade pitch fan rotating at 1700 rpm will use a lot of energy in shifting the air. Keep the pitch low and paint it black. Do I need a speed controller? Before 2018 you could get by without one but a rule change now prevents push starts, so the answer is probably yes. But there are significant benefits in being able to regulate the power smoothly and accurately. Relays can be used, but holding a relay on takes a fair bit of current which could be used for forward motion. The standard Greenpower motor has a resistance of 198 milliOhms when cold. The mosfets used in our Porter 5 have a resistance of a mere 4.8 milliohms, some 40 times less than the motor, so is negligible by comparison. The mosfets in the Porter 10XXX are 0.8 milliohms. Current limiting; We are sometimes asked about limiting the current to maximise battery life. Which current do you wish to limit – current drawn from the battery or current delivered to the motor? Since all the power drawn from the battery is delivered to the motor, motor current is not the same as battery current except at full speed. Full current can be delivered to the motor at low speeds, without drawing high battery current! So limiting battery current has no point. When using a speed controller you simply do not get the initial high surge battery current that happens without a controller. The motor will only draw the current it needs, depending on the mechanical load. Limiting the motor current may mean it cannot draw the current it needs for the acceleration or whatever mechanical load it has at that point. So there is no point in a motor current limit either. 4QD controllers do have a current limit built-in however, but to a current level that is safe for the controller. For the Porter-5 the motor current is limited to approximately 60 amps.